Stetson’s Office of Student Financial Planning will offer presentations and hands-on workshops in October and November to help students apply for billions of dollars in federal grants, loans and other college aid. Beginning Thursday, Oct. 4, the Stetson financial aid staff will help students learn about the FAFSA, the Free Application for Federal Student Aid, and the basics of financial aid. Students must fill out the FAFSA to see how much they can receive in federal grants, loans and work study. The U.S. Department of Education and its Federal Student Aid office provide more than $120 billion each year in grants, loans and work study to 13 million students. Last year, about 2,000 Stetson students completed the FAFSA. The financial aid office hopes to increase that number because students, who think their parents earn too much money to receive aid, still may qualify for federally backed student and parent loans with competitive interest rates. Parent loans — up to the cost of attendance. The FAFSA application process opens Oct. 1 and students can apply at www.fafsa.gov. Students should apply as soon as they can because some financial aid is awarded on a first-come, first-served basis. 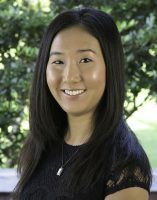 “The Department of Education has rolled out a new phone app called MyStudentAid and students can complete the FAFSA through their mobile device,” said Jamie Ellsworth, M.Ed., Stetson’s Financial Aid Communications Coordinator, adding students can find helpful articles online about the new app. The Stetson financial aid staff will help students navigate the process by hosting a series of presentations and workshops in October and November. Cultural credit will be available for students who attend. Oct. 30, 5 p.m. – 6 p.m.
Nov. 1, 11:30 a.m. – 12:30 p.m.
Nov. 27, 5 p.m. – 6 p.m.
Oct. 25, 11:30 a.m. – 12:30 p.m.
Nov. 15, 5 p.m. – 6 p.m.
Nov. 28, 2 p.m. – 3 p.m.
Stetson’s Office of Student Financial Planning also will help students improve their financial well-being during Financial Literacy Week on Nov. 5-9. Students can attend workshops on budgeting and saving money, financial wellness, identity theft, internships, investing, 401(k)s and more. Food and giveaways will be available. Visit Student Financial Planning for more information. 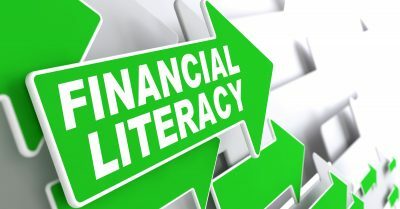 Cultural credit will be available for students who attend the Financial Literacy Week events. For more information, contact the Student Financial Planning staff.